Bobbie Merica is a leading expert in the field of healthcare simulation moulage. As an accomplished simulation author, workshop educator and lab coordinator Bobbie is the definition of “simulation champion”. But now her latest work Medical Moulage: How to Make Your Simulations Come Alive has set the bar to a whole new level! Read our extensive review of her awesome book! While the students thought the technology was certainly “cool,” we began to hear things like, “this doesn’t feel real, with a real patient I would never have done that,” or “I am not sure what I should pretend and what is supposed to be real..” Valid points, because if Nursing is anything, it is a sensory experience. Moulage (French: casting/moulding) is the art of applying mock injuries for the purpose of training Emergency Response Teams and other medical and military personnel. Moulage may be as simple as applying pre-made rubber or latex “wounds” to a healthy “patient’s” limbs, chest, head, etc., or as complex as using complicated makeup and theatre techniques to provide elements of realism (such as blood, vomitus, open fractures, etc.) to the training simulation. The practice dates to at least the Renaissance, when wax figures were utilized for this purpose. It is also now common to use Moulage in order to train Military and Boy Scouts for shock desensitization. Should I being using moulage in medical simulation? Scenarios are designed to work with the physiology of the simulators, the addition of Moulage paints the sensory picture- providing the remaining clues that enable educators to “Bridge the Gap” TM between a clinical case and a simulated scenario. What should be included in your medical simulation moulage kit? All moulage make-up should be tested on a replaceable simulator neck skin piece prior to using on simulator. To test: Place make-up on skin piece for at least 1 hour before removing with GooGone. Remember: This is only ground breaking if it comes off! ALWAYS use a barrier unless it has been tested on a neck skin piece with positive results. DO NOT use any make-up that is advertised as a “long wearing” or “permanent” make-up without a hard barrier. Simulators consist of both hard and soft plastic skins (the replaceable pieces would be considered soft plastic.) The softer plastics will absorb more color. ALWAYS use a powder (cake) make-up; Never a cream based, liquid or spray on make-up. The one exception to this rule is the white (face) cream make-up. In a hurry? “Google” in any image, print, cut to size, apply hard barrier, and adhere to healthcare simulator. Halloween is also a fantastic time to pick up extras, especially the white cream make-up, plastic wounds and scars. We understand you are busy; your allotment of set up time is around 5 minutes- 10 minutes, max! Clean-up needs to happen even faster. Therefore, we suggest you pre-create wounds/secretions/etc. in your down time and store appropriately. Doing so will enable you to pull together a realistic simulation in just a few minutes, saving you valuable time, yet providing your students a realistic medical simulation experience. For more great moulage tips and information check out www.moulageconcepts.com. Wishing you great success in your Moulage endeavors. This article is referenced from Moulage-Bridging the Gap in Simulation TM, book on CD and is, unless otherwise stated, the property of Moulage Concepts. Copyright and other intellectual property laws protect these materials. Reproduction or retransmission of the materials, in whole or in part, in any manner, without the prior written consent of the copyright holder, is a violation of copyright law. While the students thought the technology was certainly “cool,” we began to hear things like, “this doesn’t feel real, with a real patient I would never have done that,” or “I am not sure what I should pretend and what is supposed to be real..”Valid points, because if Nursing is anything, it is a sensory experience. Should I being using it? ·All moulage make-up should be tested on a replaceable simulator neck skin piece prior to using on simulator.To test:Place make-up on skin piece for at least 1 hour before removing with GooGone.Remember: This is only ground breaking if it comes off! ·ALWAYS use a barrier unless it has been tested on a neck skin piece with positive results. ·DO NOT use any make-up that is advertised as a “long wearing” or “permanent” make-up without a hard barrier. ·Simulators consist of both hard and soft plastic skins (the replaceable pieces would be considered soft plastic. )The softer plastics will absorb more color. ·ALWAYS use a powder (cake) make-up; Never a cream based, liquid or spray on make-up.The one exception to this rule is the white (face) cream make-up. ·In a hurry?“Google” in any image, print, cut to size, apply hard barrier, and adhere to simulator. 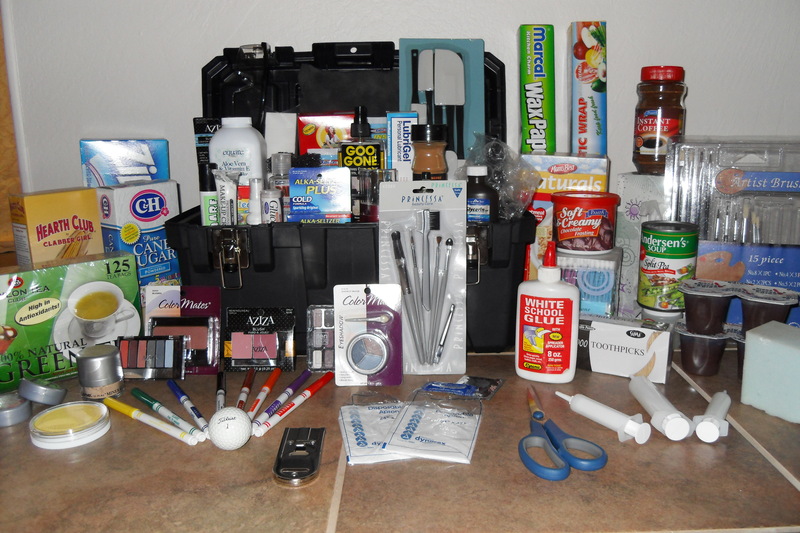 ·Halloween is also a fantastic time to pick up extras, especially the white cream make-up, plastic wounds and scars. We understand you are busy; your allotment of set up time is around 5 minutes- 10 minutes, max!Clean-up needs to happen even faster.Therefore, we suggest you pre-create wounds/secretions/etc. 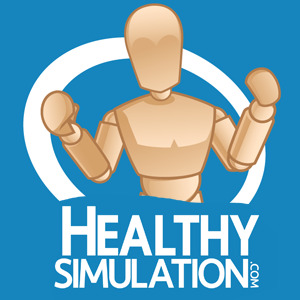 in your down time and store appropriately.Doing so will enable you to pull together a realistic simulation in just a few minutes, saving you valuable time, yet providing your students a realistic simulation experience. Wishing you great success in your Moulage endeavors. This article is referenced from Moulage-Bridging the Gap in Simulation TM, book on CD and is, unless otherwise stated, the property of Moulage Concepts.Copyright and other intellectual property laws protect these materials. Reproduction or retransmission of the materials, in whole or in part, in any manner, without the prior written consent of the copyright holder, is a violation of copyright law. A Collection of 11 Medical Simulation "How To's"
Texas Hospital Gains Local Media Attention… And How Yours Can Too!